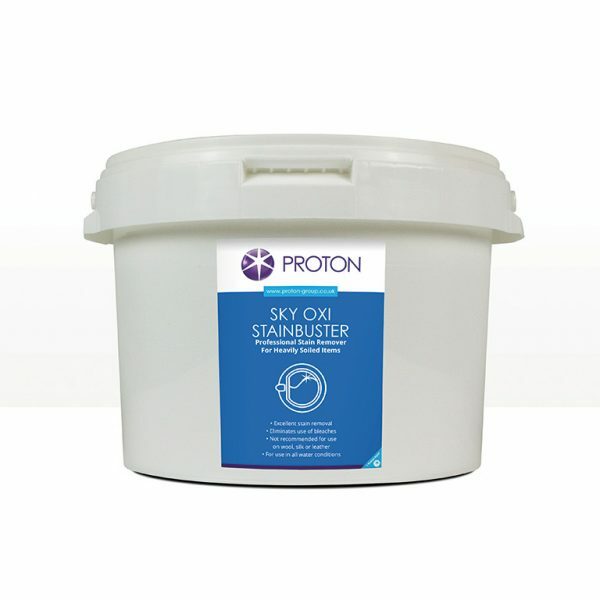 A laundry wash booster formulated for use with automatic washing machines or as a pre-soak. Developed to remove even the most stubborn stains from excessively soiled linen. Safe to use on all fabrics including coloureds and synthetics. Developed to remove even the most stubborn stains from excessively soiled linen. Eliminates the use of bleaches and is safe to use on all fabrics including coloureds and synthetics. OXI STAINBUSTER also provides enhanced levels of sanitation at lower wash temperatures, both in hard and soft water conditions. Economical in use. OXI STAINBUSTER contains active oxygen which when released will gently penetrate fibres and safely remove stains. For great results please see our detergents and conditioners within the Proton Laundry Range.